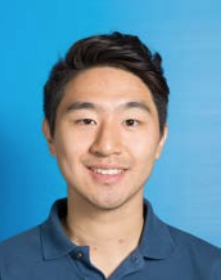 Congratulations to Yuebo Yang, a student working with Dr. Jerilynn Prior, who has been selected to receive the Endocrine Society’s 2018 Summer Research Fellowship Award. This summer Yuebo will be working with Dr. Prior and the Centre for Menstrual Cycle and Ovulation Research. His research project will use RCT data to analyze the changes in serum sclerostin over 12 weeks during which healthy menopausal women were randomized to blinded treatment with oral micronized progesterone or identical placebo. Sclerostin, secreted by osteocytes (bone-buried osteoblasts) suppresses bone formation while progesterone acts through the osteoblast receptor to stimulate bone formation. It is currently known that estrogen suppresses sclerostin, but there are no data about progesterone’s potential effect. The award will provide a stipend for Yuebo’s research as well as funding to present the results of his work at the Annual Endocrine Society meeting in New Orleans next March.